The Board of Management’s annual review of the school’s Child Safeguarding Statement was completed at the Board meeting of 8thApril 2019 [date]. In accordance with section 11 of the Children First Act 2015 and with the requirement of Chapter 8 of the Child Protection Procedures for Primary and Post-Primary Schools 2017, the following is the Written Risk Assessment of Mohill Community College. In brackets are suggested Procedure/s which correspond to each school activity. These Procedures are listed in Part 3 of this Risk Assessment. Procedures 1, 2, 3, 10, 11 and 17 apply to all school activities. The number of the suggested Procedure is in brackets after each school activity in section 1. Some of the policies listed below are a work in progress. This risk assessment has been completed by the Board of Management on 9th April 2018. It shall be reviewed as part of the school’s annual review of its Child Safeguarding Statement. 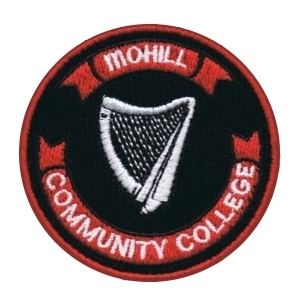 Mohill Community College is a post-primary school providing post-primary education to pupils from First Year to Leaving Certificate Year. In accordance with the requirements of the Children First Act 2015, Children First: National Guidance for the Protection and Welfare of Children 2017, the Child Protection Procedures for Primary and Post Primary Schools 2017 and Tusla Guidance on the preparation of Child Safeguarding Statements, the Board of Management of Mohill Community College has agreed the Child Safeguarding Statement set out in this document. In relation to the selection or recruitment of staff and their suitability to work with children, the school adheres to the statutory vetting requirements of the National Vetting Bureau (Children and Vulnerable Persons) Acts 2012 to 2016and to the wider duty of care guidance set out in relevant Garda vetting and recruitment circulars published by the DES and available on the DES website. In relation to reporting of child protection concerns to Tusla, all school personnel are required to adhere to the procedures set out in the Child Protection Procedures for Primary and Post-Primary Schools 2017,including in the case of registered teachers, those in relation to mandated reporting under the Children First Act 2015. This Child Safeguarding Statement was adopted by the Board of Management on 9th April 2018. Reviewed by the Board of Management: 8th April 2019[date].